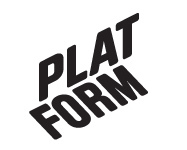 December 2000 – Platform r.f. Poissa. Joni Partanen works in different medias. In Poissa he used old drawings of penises, which he copied so that only details could be seen; a white string running through a black paper. The copies he used for papering the first room of the gallery. It looked like a forest of birches – a three that is a popular symbol of Finland. On the floor there was a metal sarcophagus, which also was used on different locations in town; the “box” had the shape of a humanlike body and two holes for the eyes. Partanen used this “box” in performances where he would lie inside unnoticed until someone looks down through the holes and sees his eyes. Jouni Partnanen is a finnish artist based in Lahti.